The wake back to bed method is not a very well known astral projection technique. It differs from the Monroe and Rope methods in that you have to perform it after a period of sleep, instead of deciding when to yourself. The wake back to bed method is also useful for achieving lucid dreams. To succeed in this method, it is useful if you already get up at a set time every day. The wake back to bed method is regarded as quite an easy technique, as long as you follow the steps. You will need an alarm for this method. Anything that is guaranteed to wake you up,. You should also not need to be in a rush the next day. I would not suggest trying this on a day when you have commitments such as work or school. If you regularly set an alarm; great! You are already used to waking up at a set time. Simply set your alarm one hour earlier. While in bed, visualise goals. Before you fall asleep, you should visualise what you would like to do in your astral projection experience. If it is your first one, then simply leaving your body should be enough. If it isn’t, then you should think about things you’d like to do, see and experience. That is all the input you need to achieve this. 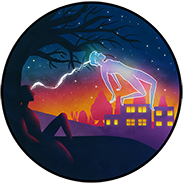 Your body is in peak REM at this stage; It is likely that if you do not succeed with an astral projection, you may have some extremely vivid dreams, possibly even some lucid ones. If you do realise you are dreaming, you can move from a lucid dream to an astral projection. This can be almost instantaneous, but it is possible to leap from a dream to a projection by realising you are in a dream. The lines here blur a lot,and it is hard to differentiate between the two sometimes. If you have reached this stage with this technique; either a lucid dream or a full projection, then congratulations are in order. After your experience, how did you feel? Did you achieve a full experience, or anything strange or new along the way? Note it down in your journal. It’s important to know that these methods can be exhausting, so don’t try again the same day. If you fell asleep, don’t treat it as a failure, just remember to learn from any experience and try again.